It seems like in 2018 every week has brought news of another CVA or company administration. A number of major High Street retailers have embarked on CVAs this year, including New Look, Carpetright, Mothercare and House of Fraser. There have also been some high profile companies going into administration such as Maplin, Toys R Us, New Look and Poundworld and we are still only in July! The current recession has highlighted how the “rescue culture” in insolvency legislation has shifted the balance of power from landlord to tenant where landlords have to deal with tenant insolvency. As a result of legislation brought in to protect tenants who are struggling financially, landlord’s options for recovery of arrears and possession have certainly become more limited and that same legislation allows the tenant and the insolvency practitioner a greater scope for flexibility in trying to secure the survival of the tenant company or its business. There is a growing perception that large retailer tenants with a wealth of legal and other resources behind them seem to be able to use pre-pack administrations and well drafted CVA’s to ditch their liabilities and move on to a more profitable future. Landlords, unless they have deep pockets to pursue matters and litigate for the recovery of arrears or to challenge an unfairly prejudicial CVA, have been left to accept their losses and move on. As a result of the most recent round of CVAs, landlords have united in calling for a government review as more struggling retailers ask for rent reductions. The British Property Federation says too many companies are abusing CVAs as they are being used by powerful retailer tenants to negotiate rent reductions as a cost-cutting exercise for their business. There have been claims of unfair discrimination between creditors, where landlords are asked to shoulder a disproportionate amount of the costs compared with shareholders and banks. The overriding aim of a CVA is to rescue the tenant company as far as possible and the benefit of keeping branches open (and therefore saving jobs) is often cited as a justification for their use. Landlords don’t often receive very much in the way of sympathy in this situation but it is often forgotten that landlords in the shape of large pension funds or listed property companies who have stakes in property and who generally take the hit in a major CVAs inevitably pass on the effects of those CVAs in the form of a lower return/dividend to the people investing in their pensions or investing their savings in shares. There are also implications for town centres and local economies when a major retailer closes a store. These also get overlooked. 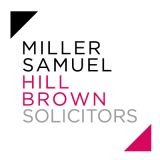 If you would like to discuss any of the issues raised in this article, or any other property related matter, please get in touch with a member of our commercial property team.